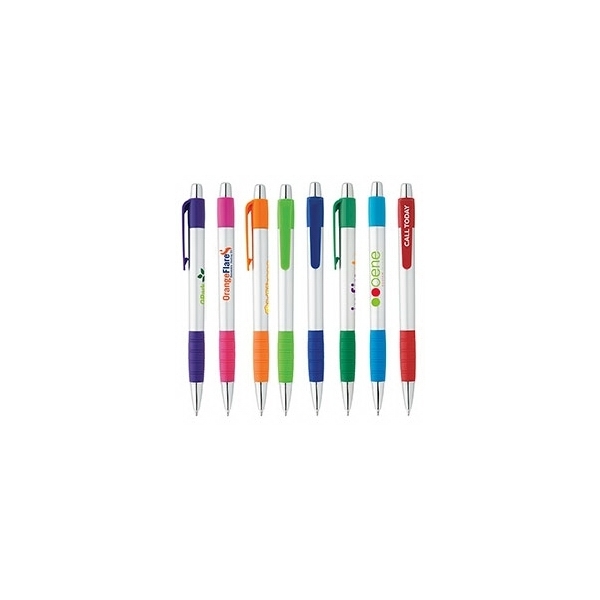 Catch your clients' eyes by featuring this colorful Silver Element Pen as a gift at your next convention or tradeshow! By customizing this pen with your logo, your promotional campaign is sure to move in the "write" direction. Offered in several colors, this pen has a plunger action mechanism and writes with black ink. It also has a medium sized point to make note taking easier than ever. 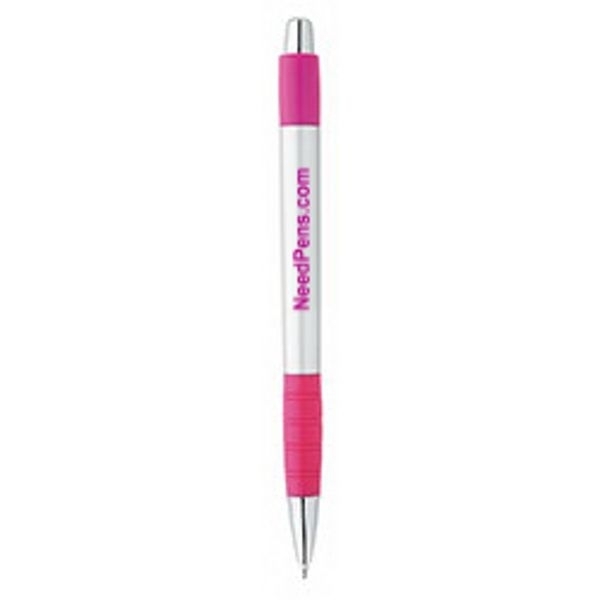 Order this pen to make the most of your next event!! Save on this custom pen with Free Setup, Free Rush Service, Free Artwork and Free Shipping. Customize Your Product: Up to 3 lines of text - 35 characters per line max. 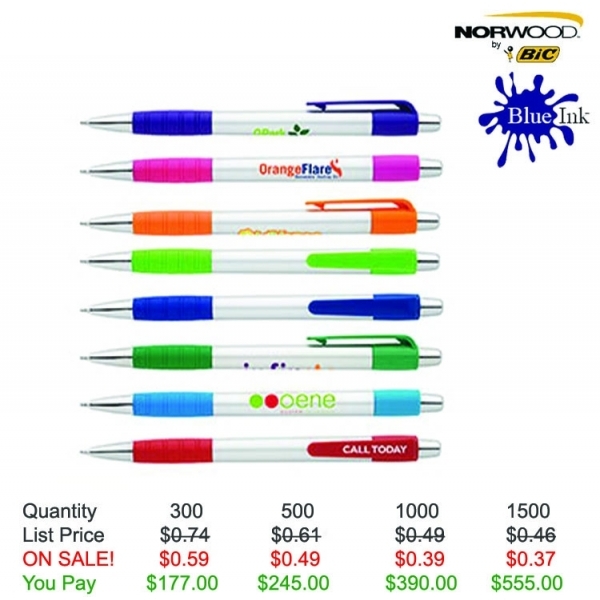 Product Features: Translucent corporate colors, rubber grip, Black or Blue Ink. Item Size: 5-9/16"l x 3/8" dia. Shipping Weight: 9 lbs. per 500 - FREE Shipping! Our customers loved them. Looked great with our logo on they and they write really well . Thanks for keeping the same price as the website showed. We will definitely refer you guys.